It was finally here… the moment I fantasized about every time I would watch Giuliana Rancic host a Red Carpet Live at one of the award shows. The Grammy’s being my favourite. 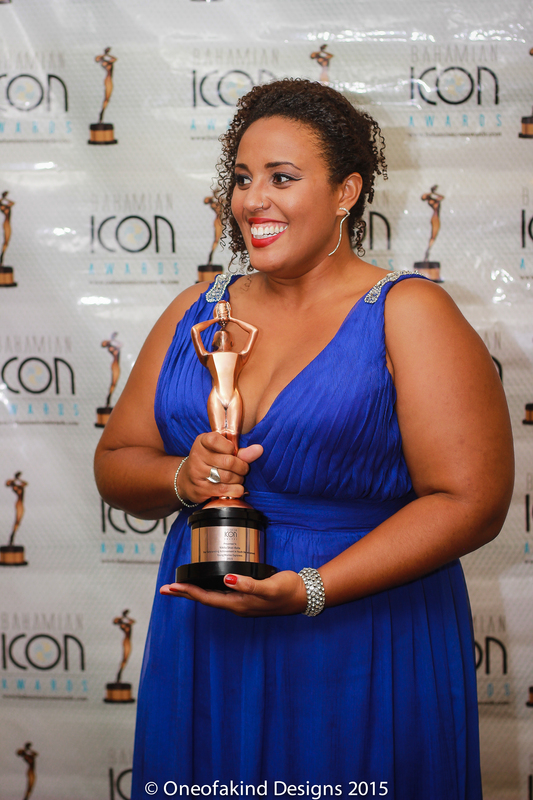 With my long, black, backless, sequined gown gripped in my hand from my thighs, I practically ran across the street to the Melia Hotel for the Bahamian Icon Awards. 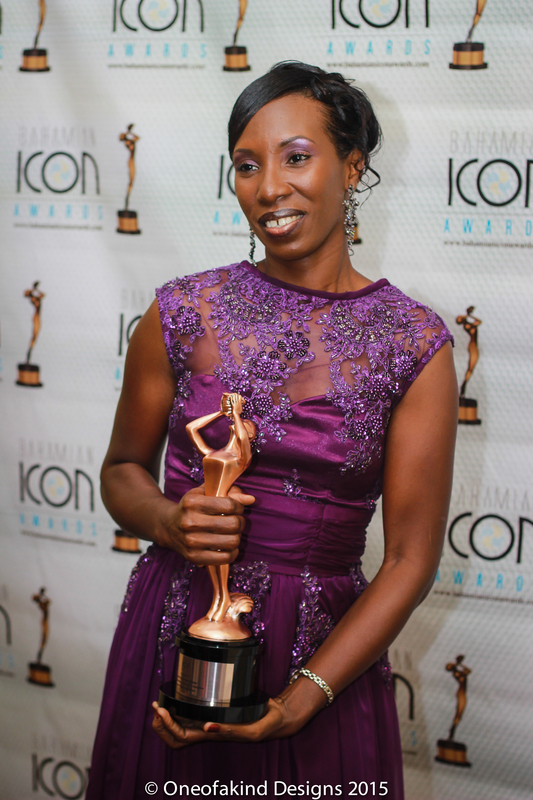 The Bahamian Icon Awards, celebrates and recognises Bahamian citizens who’ve shown a spirit of excellence and made noteworthy achievements in their desired fields such as Entertainment, Fine Arts, Health, and Education. Just to name a few. 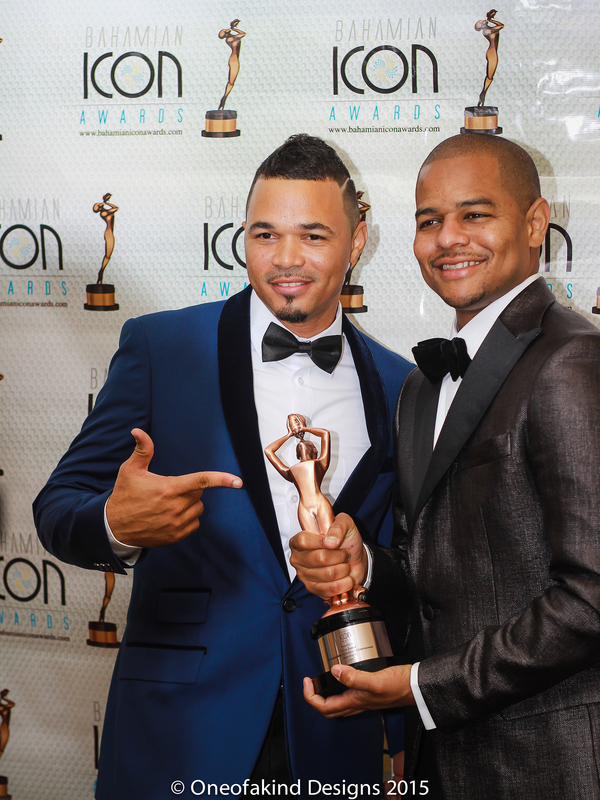 It is the premier award show of its kind in the Bahamas, and most simply desire to be a nominee, because just to be nominated already feels like a win! After having her picture taken, the first person I interviewed was second time nominee Leah Eneas, who was nominated under Entertainment, for her role in The Cinemas. I was proud. The night truly belonged to Bahamians. 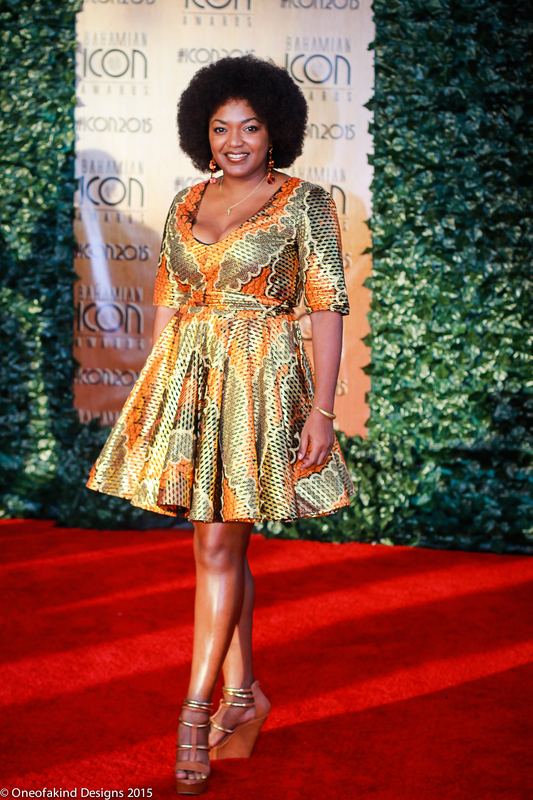 Even the ones who weren’t there or weren’t nominated like Designer Kenria Smith, who still made an appearance by having her pieces shine on the red carpet! More cars was pulling up to the red carpet entrance, and as the nominees and special guest arrived, I was scanning the crowd to see who I would interview next. 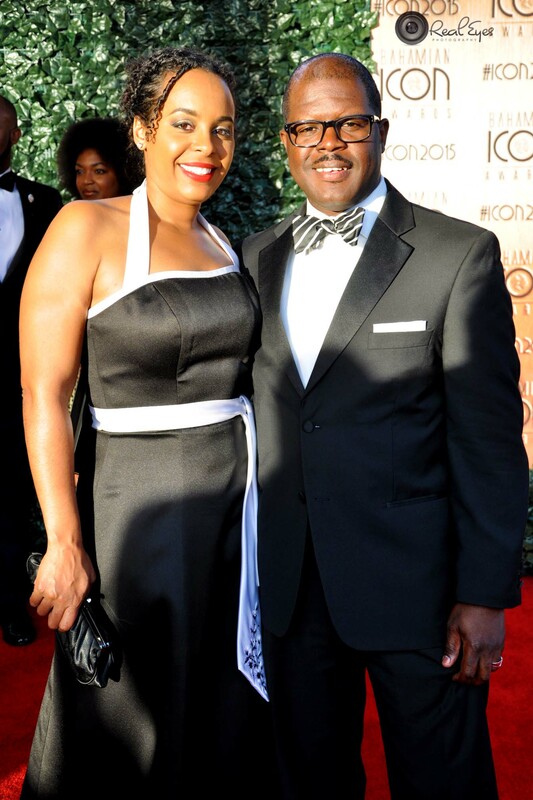 Fine Arts Winner (he was just nominated at the time) Willicey Tynes and his beautiful wife. They matched in very simple but elegant black and white ensembles. Willicey Tynes, Fine Arts Winner and his wife. Willicey was nominated and won for his contribution and Virtuoso Man piece at the Coral Reef Sculpture Garden in Nassau, Bahamas. I asked Willicey, “How does it feel to be nominated? And what does it mean to Him to see Art be celebrated like this?” Humbly he replied, “I’m actually shocked that I’m nominated. I wasn’t expecting to even be nominated.” He also said, ‘that he remembered when his type Art wasn’t so recognised in the Bahamas. 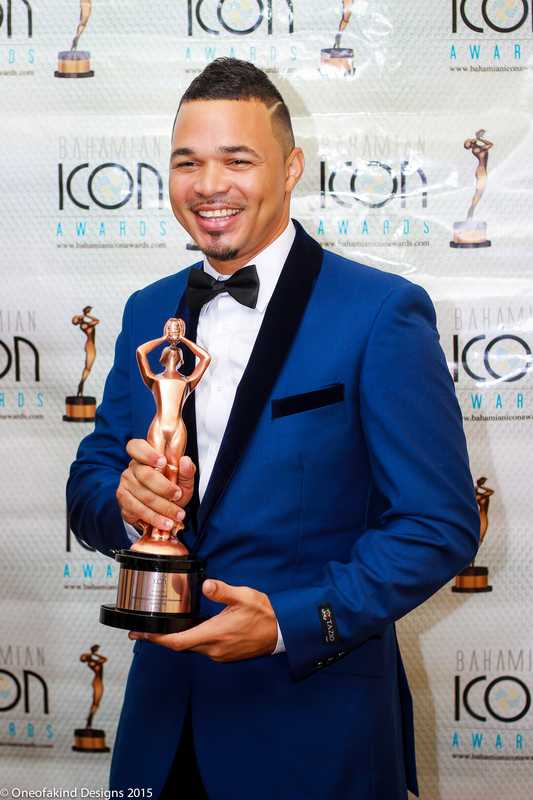 So it was great to see it evolve so much in the Bahamas.’ Finally I asked Willicey, ‘what he was looking for most out of the Bahamian Icon Awards tonight… besides winning? !’ At that moment we all laughed. 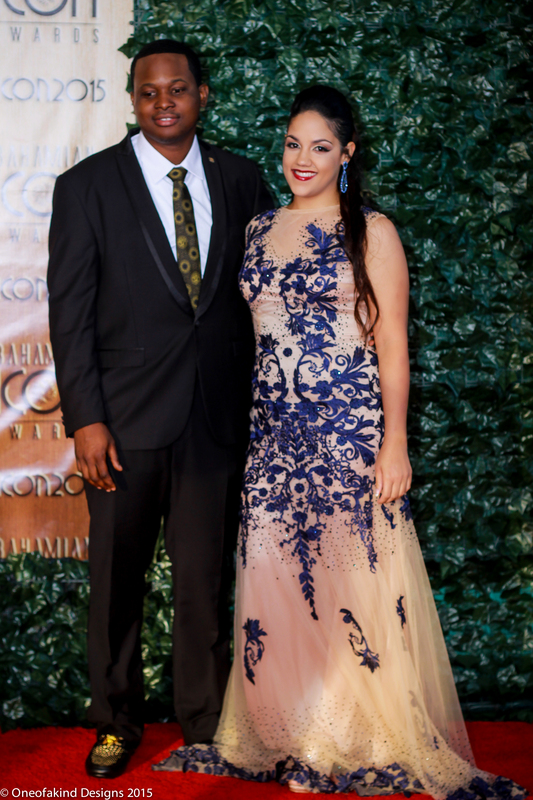 Amongst other power couples looking fabulous on the red carpet that evening was Fine Arts nominee Scharad Lightbourne and his lovely date. Scharad wore a slim fit ankle length black pants and a black textured tuxedo with a black and white pocket piece and a red lapel. 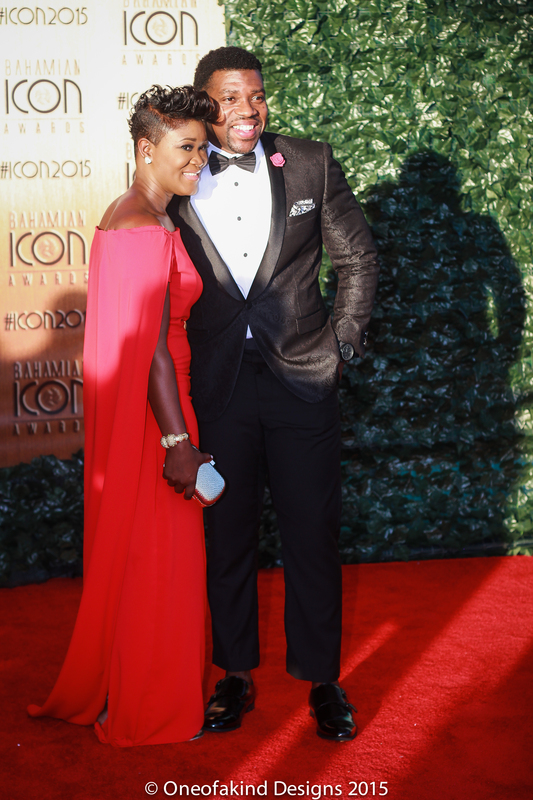 His date wore a Lupita Nyong’o inspired red floor length cape sleeve dress that complimented Scharad perfectly. Scharad Lightbourne, Fine Arts Nominee and his date. 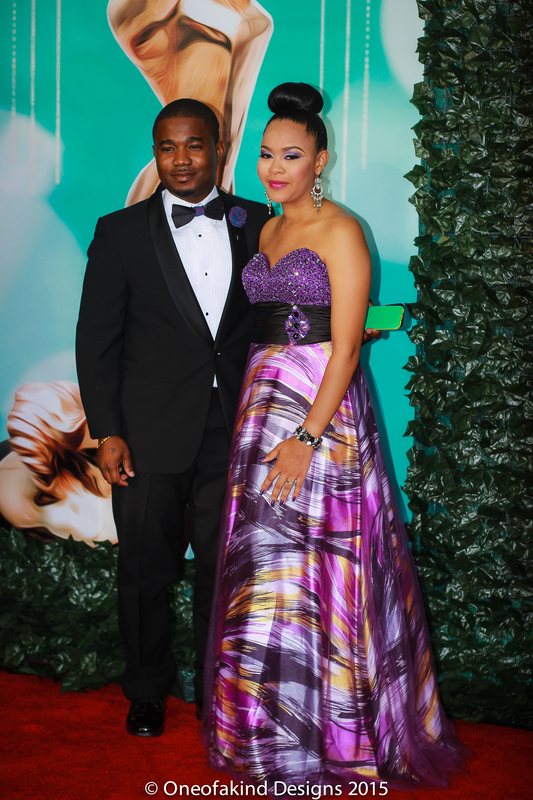 Another one of my fashion favourite couples was Youth Development nominee Sammie “Sammie Star” Poitier and his beautiful wife. They went for a more gala look to their outfits with Sammie’s bowtie and lapel complimenting his wife’s purple sequined sweetheart neckline gown. 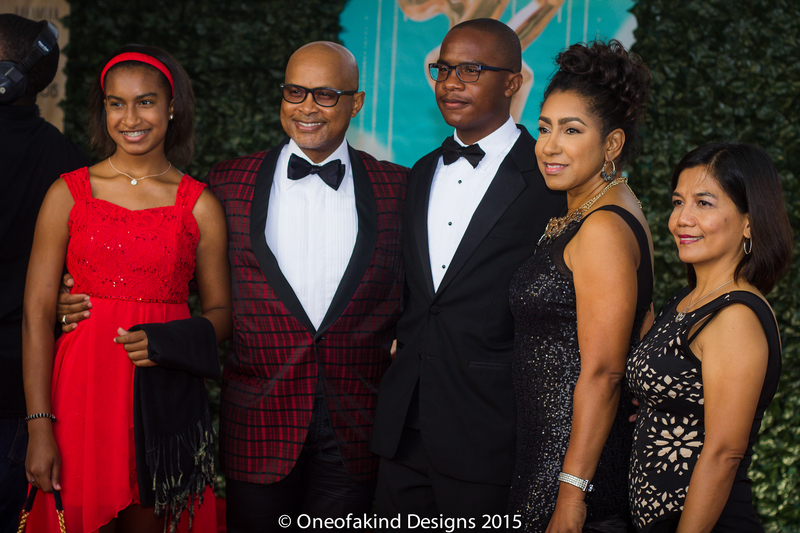 Sammie “Sammie Star” Poitier, Youth Development Nominee and his wife. The hosts were on the stage making the audience laugh before a high energy musical performance by two-time Bahamian Icon Awards nominee Julien Believe. Fortunately for me, I saw Julien in the lobby before his performance and he agreed to interview with me. Humbly Julien admitted to me that he was “nervous” for the night. Expectantly so, because this was his second year nominated and in his first year nominated, he won! 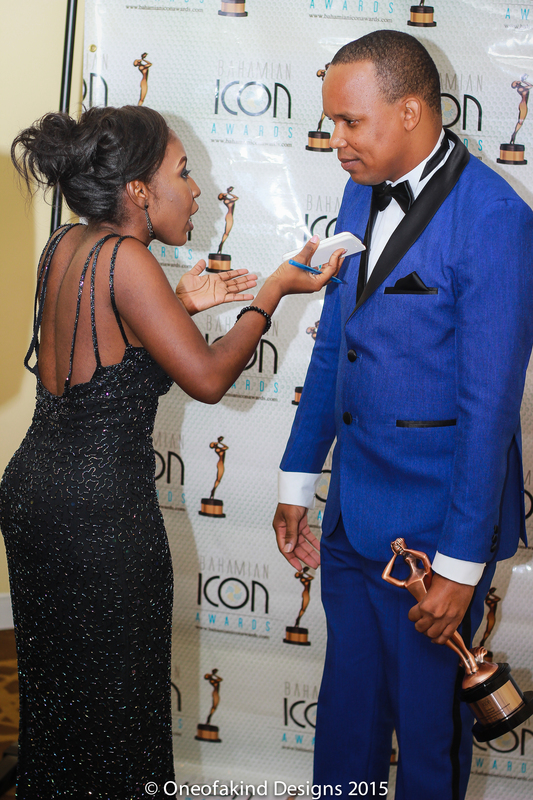 I asked Julien what he was looking for most from the awards that night besides winning and he said “seeing Bahamians celebrate one another.” Lastly, he exclusively told me about a new song he’s working on called “Party Ambassadors”. I like it already… and remember! You heard it here first! 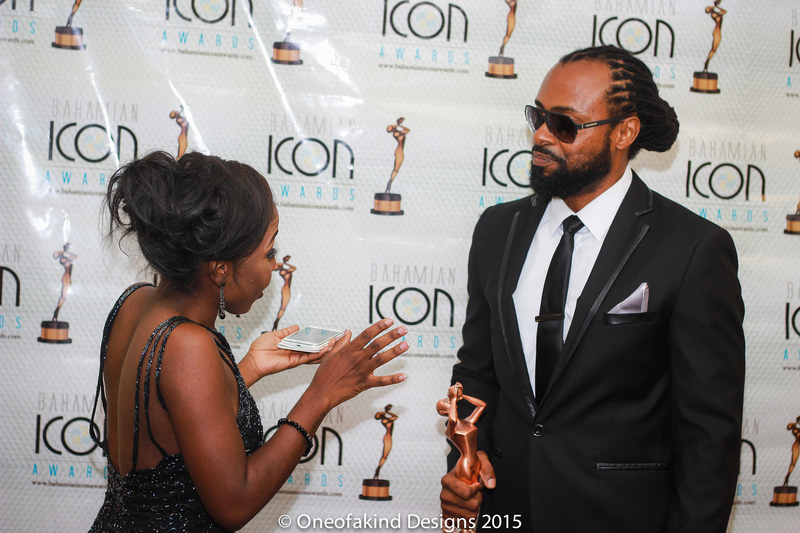 The night was flowing smoothly, the winners were accepting their statues and their responses were almost all the same… “shock, grateful and honoured”. 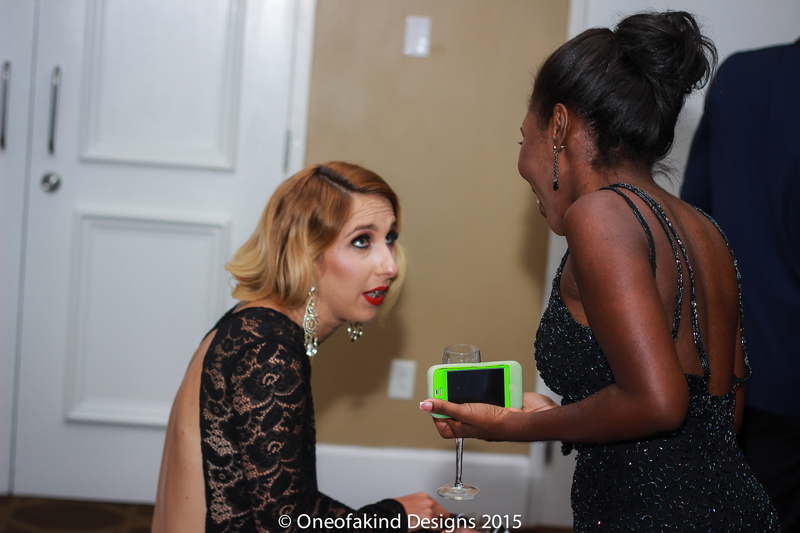 Winner of the Youth Development category Nikita Shiel Rolle was extremely excited. She’s a marine biologist and was recognised for her non-profit organization, Young Marine Explores. I asked Nikita what inspired her look tonight as she looked like a true winner in an empire waist, v neck, ocean blue sleeveless gown. Easily she replied,“my love for the ocean, hence the blue and the silver appliqués on the sleeve was just a little added bling!” She looked fabulous! Next, I interviewed Education winner Janelle Cambridge-Johnson. She was dazzling in my favourite color, purple! 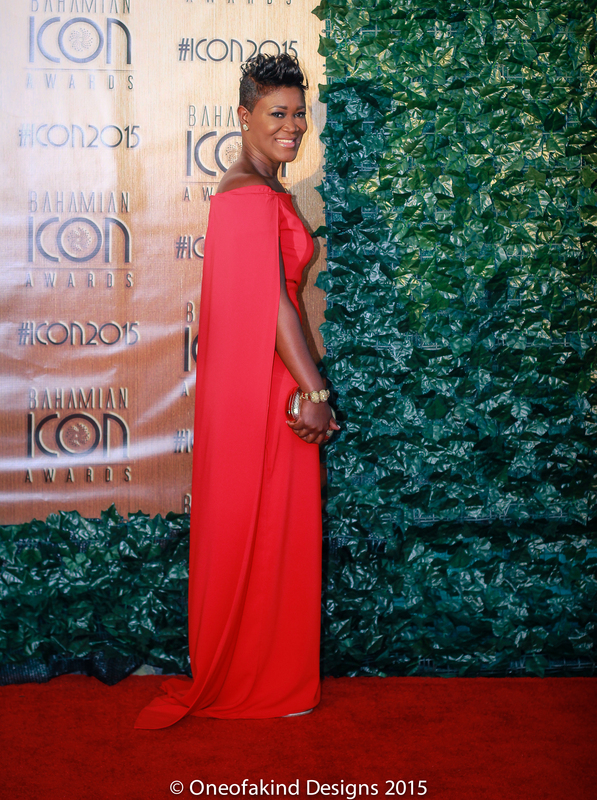 Her dress was especially made for the event by another Bahamian designer Marilyn Monroe. Purple is her favourite color as well “because it represents Royalty and the potential she sees in Education.” She also mentioned that the hand sewn beads ‘represented all the students she taught’, past and present. 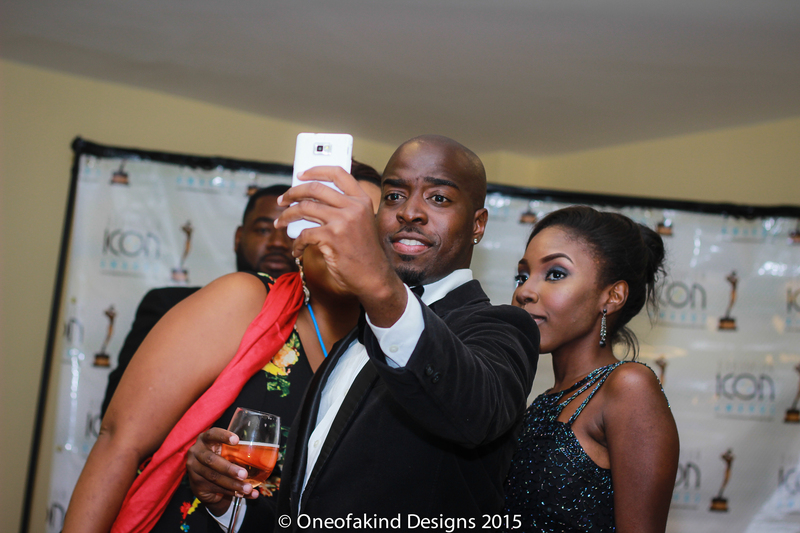 As the media and press crew waited for more winners, we sipped champagne and took selfies. Then rolled in the guys, one after the other. All winners! 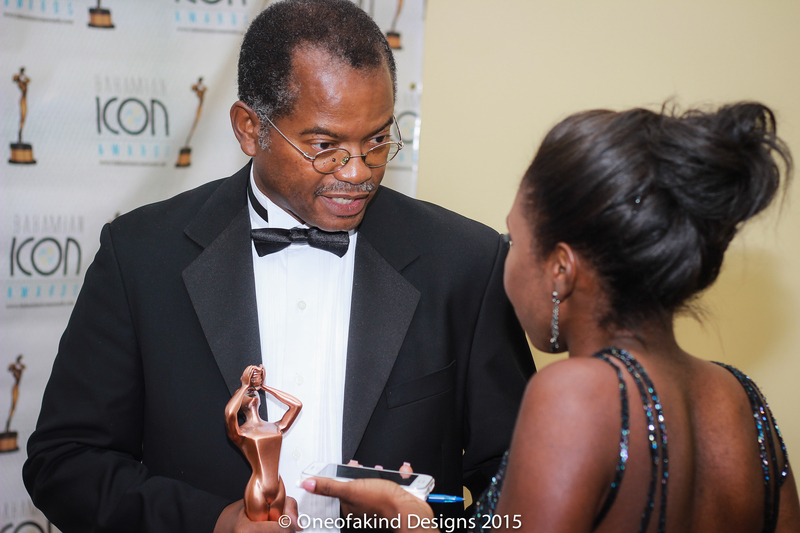 Dr. Conville Brown of The Bahamas Heart Centre won the Health category. 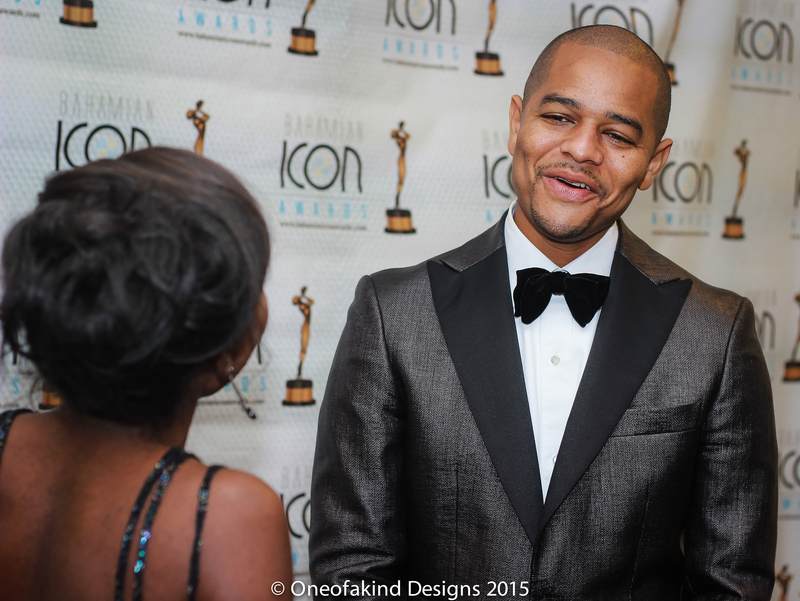 He was very dapper that night, and took all the credit for his look. He was wearing a John Adams suit and a bow tie. I asked Dr. Brown what did he feel was his biggest accomplishment of his career thus far and he replied, “developing a health care model… of which we are celebrating our 25th anniversary as we speak, and being able to ensure that as many people as possible has access to health care particularly in the area of Cardiology…”. Next was the Entrepreneurship winner, Steve Cancino who wore a suit from the late great designer Oscar De La Renta. Then the Live Entertainment winner, Philip Burrows and Humanitarianism winner, Dr. David Allen. 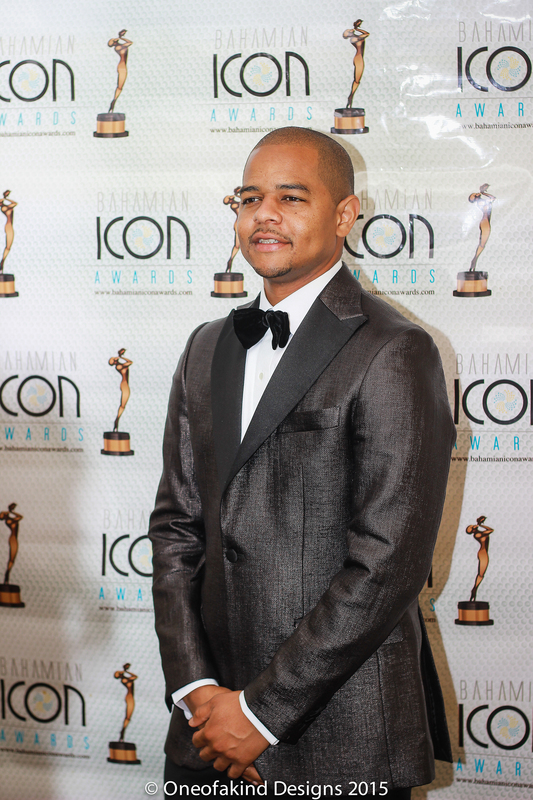 Surprisingly, the next person to enter the room wasn’t a winner or nominee but he is a Bahamian Icon in his own right. 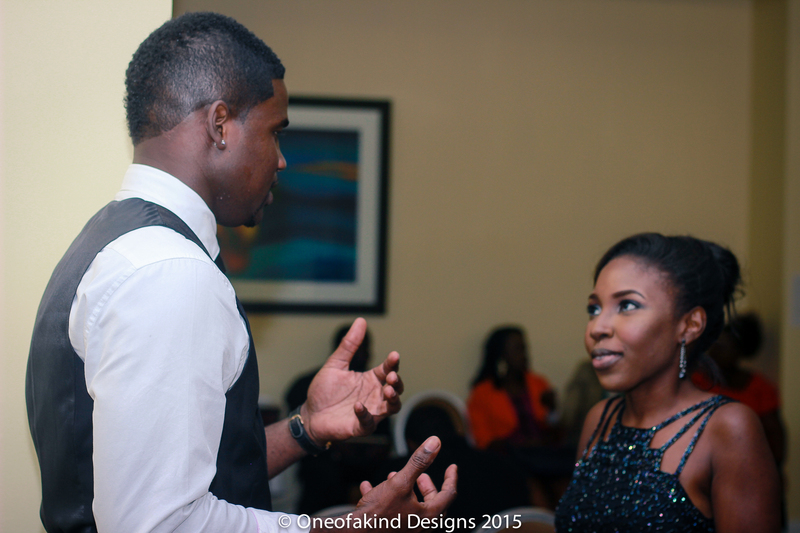 It was Sebas Bastian, CEO of Island Luck and he was open to interviews! Right away I asked what he was wearing, and after joking that it was rented and had to be returned by 12am, ‘so I must speed up my interview’, he revealed that it was a J. Lindeberg suit and “sometimes he likes to dress a little European”. What can I say? The man has style and taste! I asked Sebas, to share a tip for successful entrepreneurship, and after joking that “first off, if you have a dream by a number!” He said to tap into an unsaturated market. 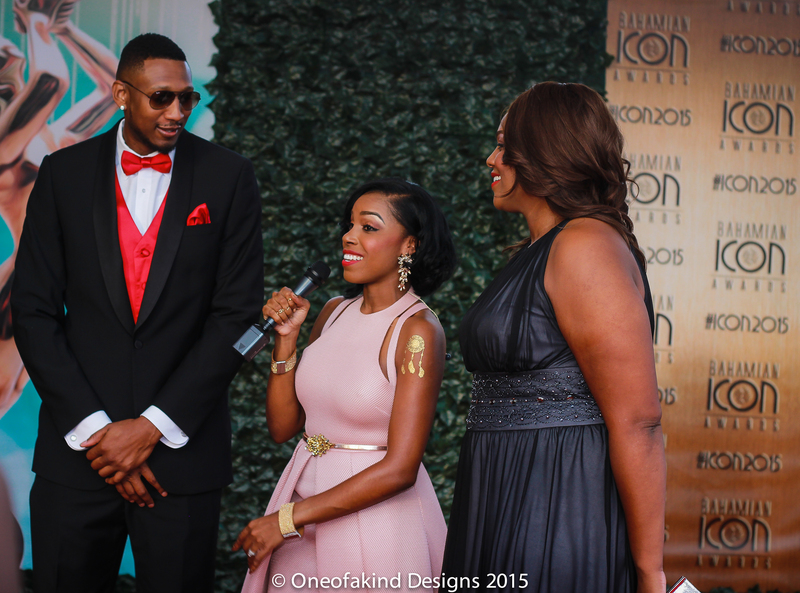 That meant so much to me, being one of the few Fashion Stylist in the Bahamas. Breaking the streak of the guys was Tourism winner, Ava Burke-Thompson, who revealed to me that her dress was formally owned by her late sister and it was her way of having her sister with her to celebrate her nomination and later win. 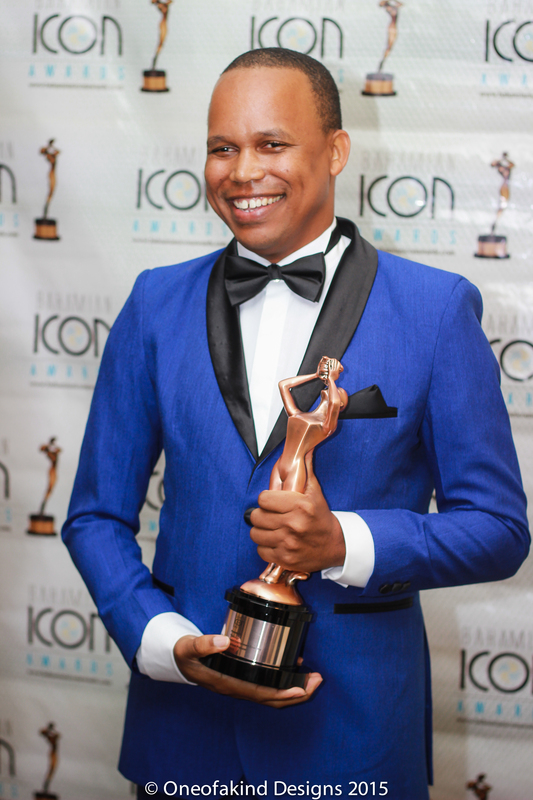 Soon after, it was back to the reign of the men, as Kareem Mortimer who was dressed in a another Bahamian Designer Cardell McClam won the Recorded Entertainment category. Next, Rick Carey won the Music category for his song No Ordinary Fling. 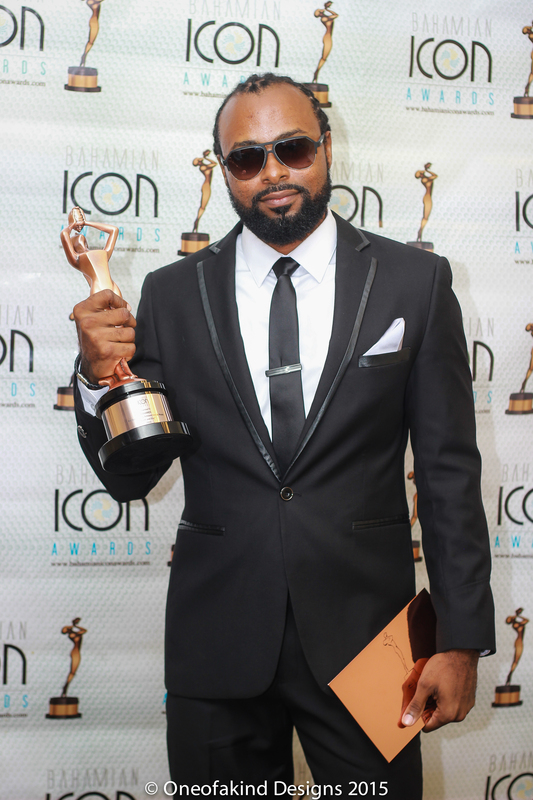 Then, Timico Sawyer won the Entertainment category for his comedic Sawyer Boy Tv. 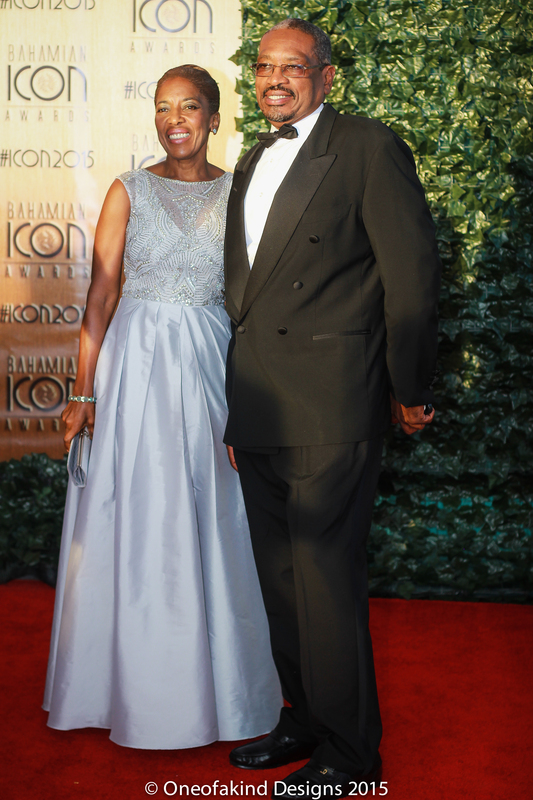 When asked, “what inspired his look?” He said, he “figured everyone would come in black… so he went with the Blue” and that his outfit came from Fine Threads, a Bahamian owned men’s wear boutique. 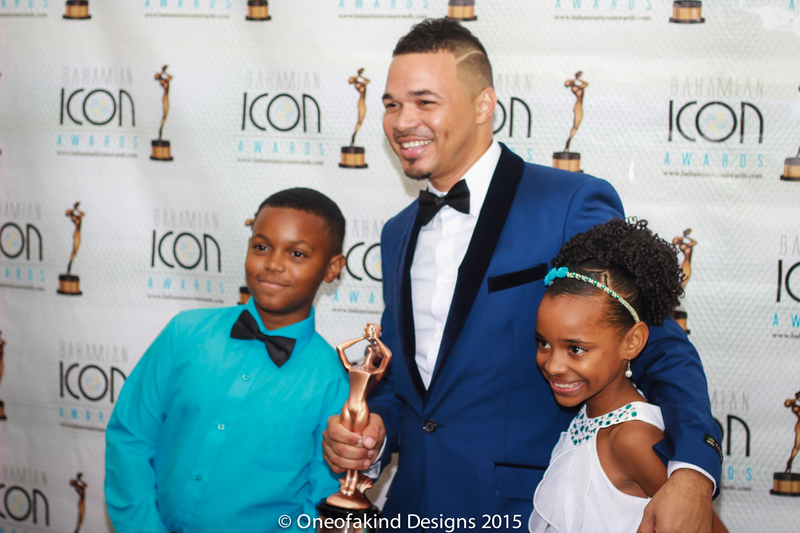 The Bahamian Icon Awards exceeded my expectations! 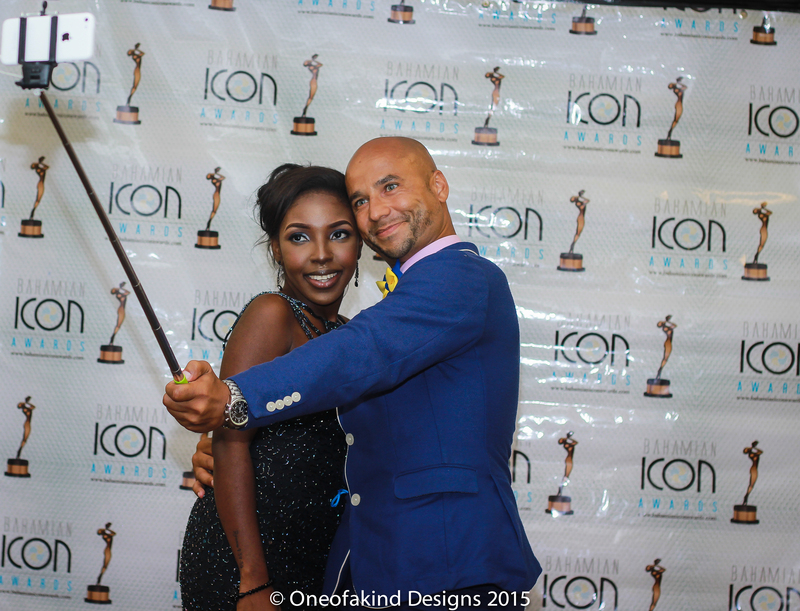 The event was classy, glamorous, well organised and well supported. Throughout the evening I kept thinking about what next year would be like. 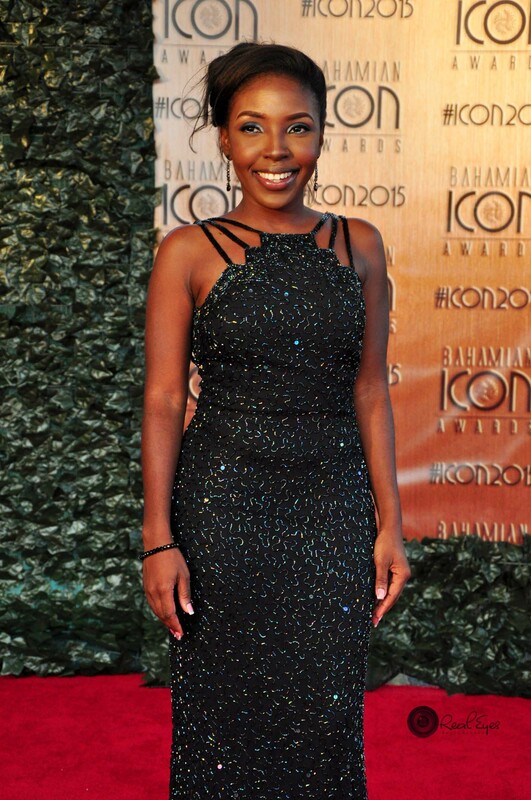 I finally got to live a dream that night, and now I’m longing to fulfil another dream… That of being nominated for and actually winning a Bahamian Icon Award for my accomplishments in the Fashion Industry. ← ||Hair It Is||… My Hair Regimen!